What is Covered under the VSP Vision Insurance Plan? If you’ve been to your eye doctor recently, you probably have a rough idea of what your out-of-pocket costs of eye exams, lenses, eye glass frames, etc. are (with or without vision insurance). So, do you really save money with a VSP Vision Insurance Plan? It depends. Before we answer that question, we need to know what it costs to enroll in the VSP Vision Insurance plan that matches your family size. Is the VSP Plan worth it for Individuals? While we are young and near sighted or far sighted, our eyes seem to change constantly. If you have two or more children, you are probably taking them once or twice a year to the eye doctor to get them fitted for glasses or contact lenses. Us older folks (25 and up), are probably going to an eye doctor no more than once or twice every five years. I realize optometrists tell us that we all need to go at least once a year, but most of us don’t follow that advice unless we have some type of ongoing vision problems. The same is true for my wife and even our kids are at the age where they really don’t need to visit the eye doctor more than once every couple of years. Do the math: For my family, we wouldn’t even break even with the VSP Insurance Premium of $436.95 annually. On the other hand, if I could go back 15 years, when I was taking my kids to the eye doctor and paying for eye exams, new glasses and contact lenses at least once a year, my out-of-pocket expenses for eye exams, glasses and contact lenses was approximately $1,000 per year. I could have saved some money, to the tune of around $400-$500 per year, with the VPS Insurance plan. Vision Insurance is always a bonus if it’s completely paid for by your company. But, if you’re shopping for your own individual vision plan, consider how many times you and your family use an eye doctor. If it is 2 or more visits a year for new prescriptions in glasses and/or contact lenses, you should consider the VSP Plan. Certainly, there are other good insurance plans out there for your eye-sight, but VSP seems to make the most sense for those who need eye insurance and cannot get it through their employee health plan. Deciding whether or not to make monthly payments on vision plan (or any insurance plan for that matter) is kind of like being a back seat driver. It’s always easier to make that decision with the benefit of hindsight. I’ve always recommended that shoppers of any type of insurance check with relatives and friends who were once in their own situation and ask them if they’re happy with what they are getting received for their premium payments. Since we don’t have the benefit of hindsight when shopping for a vision insurance plan, the best advice we can receive is from those who have been in our same shoes. Look into VSP – It is better to be nearsighted than short-sighted. What is Acct Shield Plus and what the heck are all of these charges on my Credit Card? If you’re asking yourself this question, you are no doubt one in many, including myself that got suckered into a credit card shield program called Account Shield Plus. Account Shield Plus is probably listed as Acct Shield Plus on your Best Buy or other HSBC Credit Card Statement. In short, this charge is for a Credit Card Shield program. A Credit Card Shield Program is like an insurance program that covers the unpaid balance on your credit card should you ever die, lose your job or become disabled and unable to work to earn the income to pay off your credit card debt. 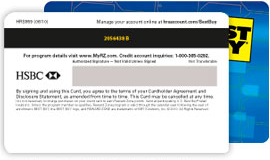 Acct Shield Plus is a specific brand of this credit card shield program offered through many banks and lenders, including your HSBC or Best Buy Credit Card. Am I Stuck With these Charges? Did I sign up to have Account Shield Plus on My Account? In short, you were tricked into this one way or another. In my case, it was when I signed up for the Best Buy Credit Card while in the store. HSBC and other banks have affiliate relationships with insurance companies like Account Shield Plus. I vaguely remember the Best Buy sales rep mentioning that I could have my $300 purchase covered for just .53 cents. Acct Shield Plus Charges still looked like a mystery to me. What they didn’t tell me, and what they don’t tell all of us is that is just an introductory rate for our first purchase to get us suckered into a product most of us don’t’ need and a bunch of Acct Shield Plus crap on our statements. The rate goes up to 2%, 3% or 4% after that and is tacked on to all of your purchases and will be billed on your remaining balance until it is paid. Astonishing!. Chances are, you forgot all about it until you saw those dreaded Acct Shield Plus charges on your card. By the time I first noticed the Account Shield Plus charges on my card, I had already paid $60 for this worthless Credit card protection Program. There is no other way to describe this other than a deceitful business practice. I normally say not to all of the after sales crap sales reps throw my way, but they must have caught me in a moment of weakness. I do vaguely remember agreeing to it, but did I fully understand the costs of what I was signing up for? Absolutely not and for this reason it is trickery on the part of the store and the operators of the shield program. There is only way to get these charges taken off your account. You have to call the 1-800-number right under the Acct Shield Plus listing: 800-365-6256. If you’re like me, you will be angry when you call and have to speak with a foreign sounding, difficult- to-understand A credit card shield representative who will completely ignore your seething ire and try to talk you into staying in the program at a reduced rate. How insulting is this? After feeling completely cheated to the tune of $60, here’s a guy who wants to reduce the rate at which I’m violated. It took about another minute to convince this hourly telemarketer that I was mad and want the charge removed immediately. So, would anyone actually need or want a Credit Card Shield Program? Who Needs a Credit Card Shield Program? I suppose if you absolutely had to pay for something on credit that you absolutely needed and you knew the chances were good that you were going to either die, become disabled or lose your job for an extended period of time, a credit card shield program like Account Shield Plus, might be for you. Otherwise, say not to those pesky charges on your card and good riddance to unwanted credit card shield charges. This Top-10 list should be used as a guide only – a rough place to get started. Look at the top-10 insurers by JD Powers and compare for yourself. The insurance ratings are not all created equal. Unfortunately, JD Powers does not offer a detailed report on how they came up with the insurance ratings in each of these categories. One huge factor that is not taken into account, here, is how combining auto insurance with a homeowners insurance policy can drastically reduce your Auto Insurance cost or vice versa. Some of the cheapest-looking car insurance companies aren’t as cheap as they seem when you factor in a home owners discount. For those of us who own homes, it doesn’t pay to switch to a cheaper auto insurance company if the cost of a home owners policy negates those savings. For the 2nd time in the three year period that I’ve reviewed these car insurance ratings, Amica has come up on top. I was unable to go back and see if the 2009 JD Powers auto Insurance Ratings reported the same. With Amica receiving perfect scores in every category every year, including cost, I would expect to know a few very satisfied Amica Car Insurance Policy owners. This was not the case. Since writing the 2008 article on auto insurance ratings, I’ve recommended Amica a few times to family and friends. Surprisingly, I have yet to find one person who switched after giving Amica a call? Why? Because, Amica was not as cheap as their current auto insurance policy. For a company who ranks best on price year after year, this is kind of surprising isn’t it? 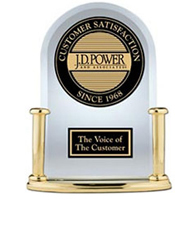 In fact, Amica is the only auto insurance company JD Powers ranks a perfect 5 of 5 stars for price. I can only think of a few things that could cause this discrepancy. Obviously, a great deal of other variables come into play: Credit Rating, geographic area, Home-Owners, demographics, driving record and even the type of cars being insured could reflect a different outcome for some people shopping the same insurance company. The lesson here is that what works for some may not be what is best for everyone. Still, if you’re looking for place to get started, these Top-10 car insurers will serve as a great short-list of places to call first. Why worry about Life Insurance Rates or ratings? Things like term insurance, etc., etc.. – all sounds kind of boring, doesn’t it? Choosing a Life insurance policy is one of the most important, yet boringly, daunting financial decisions we can make in our life times. The reason is quite simple: It’s hard to get excited about buying something we hope we never have to use. We love buying products that we want to use, not products we hope we never have to use. Why worry about Life Insurance rates? Such is life. A necessity, but hardly anything to get excited about. Life Insurance is a Must-Do, not a Want-To-Do item in our lives. So, we look for the best life insurance rates and answer other questions like whole life insurance, universal life insurance, term life insurance rates. If you want cheap life insurance, you’ll have to do your home work; and you’ll need a medical exam. We go through all the trouble for our family; the same reason we need health insurance. These days, you don’t need to get insurance quotes from an agent; you can shop for life insurance rates, online. Either way, insurers are competing to give you the best life insurance rates. Consumer advocate groups such as A.M Best Company, provide life insurance ratings on the top life insurance companies in America. Life Insurance Ratings on short-term, mid-termand long-term life insurance companies are based on several factors. Service, price, company stability are among the top criteria used to provide these annual life insurance ratings. Unfortunately, most of these consumer research advocates charge us a price tag to uncover the best life insurance ratings as part of their analysis. Companies like A.M Best are more geared towards providing us with a life insurance company’s financial stability, but charge us for the rest of the information. This sort of defeats the purpose of trying to save money on your term life insurance premium, doesn’t it? Years ago, I found a really good insurance carrier thanks to a friend who referred me, and I realized that this is how most of us shop for term life insurance. We shop by premium from friends or relatives that had similar needs and told us what they pay. Keep in mind, there are a variety of factors that can influence these ratings. For one thing, when we sign up for a new policy, we are required to have a medical physical. In most cases, the life insurance company will send a registered nurse to your work or office to administer the physical. Your rates will go up dramatically if you smoke, and just slightly if you have ‘high’ cholesterol or are considered by their standards, overweight. It varies by insurance company how much of an impact your physical health with have on your life insurance premium. The other thing that will greatly impact rates from one Life Insurance company to another, is the amount of coverage. On average, most young to middle-aged, primary bread-winners are usually getting lump sum life insurance coverage that is 10-20 times greater than their annual income. The premiums from some life insurance carriers might be better for higher coverage amounts or vice versa. Determining which Life Insurance Carrier is best, is not that much different than comparing Cell Phone plans, where certain carriers are geared better for some people’s needs, requirements and desires than others. For the majority of us, the first place to determine a carrier is to shop for the best rates. Fortunately, there is an organization which provides us with Life Insurance Rankings based on Premiums. The Insurance Information Institute provides an annual ranking of the Top-10 life insurance companies. For your convenience, I have included their ratings of the rates, below. Ironically, the list above does not include the company I use for my own life insurance, First Penn. In fact, First Penn offered me better premium rates than the one at the very top of the list. So, while top ten Lists are a good starting point, the ultimate way to find the best carrier is to find people, friends and relatives you know whom roughly match your own profile and ask them about their own term policy. Lastly, you will want to compare your friend’s recommendation to the insurance company rating that is provided by a company like A.M Best or Moody’s. This information can be found on the internet in the form of letter ratings such as AAA or A++, or simply described in words like exceptional, strong or very strong. 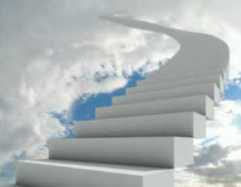 Finding a good life insurance policy is really a two step process; life insurance ratings are the third. When said friend recommends an insurance company with a reasonable premium and a strong financial stability rating, you’re found what you need. Stay healthy, happy and safe. Pay as little as possible for something that both, your loved ones, and your insurance company hope is never used. Remember, only 1/3rd of the equation is life insurance rates.